Ms. Campbell received a Bachelors degree in Horn Performance from Northwestern University, and did Masters work at the San Francisco Conservatory of Music. She was co-principal horn with the National Orchestra of New York, resident orchestra of Carnegie Hall. She has performed in orchestras in Austria, Germany, Italy, Norway and Mexico, and has performed at the Aspen, Banff, Tanglewood and Tetons festivals, to name a few. 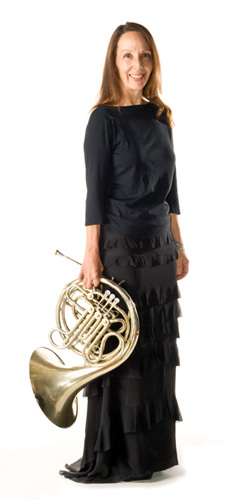 She is a founding member of the Sky Island Chamber Musicians and the Heavy Metal Brass Quintet, has been 4th horn with the Arizona Opera since 2000, and has been 4th horn for the Tucson Symphony Orchestra since 1985.